Medical marijuana candies are the famous kind of cannabis edibles. Apart from tasting delicious, it is also available in many flavors and varieties. It is also a safer way to consume marijuana rather than smoking. While smoking cannabis is safer than smoking tobacco, not everyone can smoke comfortably and deem it as a lung irritant. An edible are available in many kinds, ranging from cookies and brownies to tinctures, drinks, and sometimes even spreads. 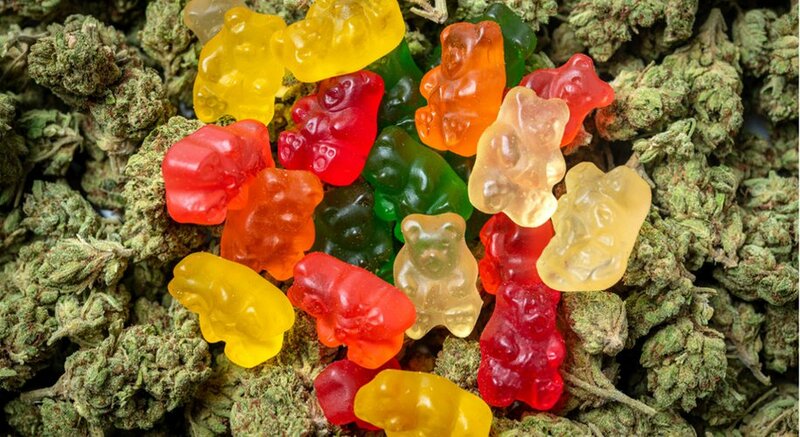 Medical marijuana candy edibles are a kind of cannabis edible. It is just categorized as an edible like gummies, caramels, chocolate bars, and hard candy. It is just like a candy but it is a cannabis infused version of the same. How is it different from smoking flower? Consuming weed candy or any edible form is different from smoking cannabis in many ways. When you consume marijuana as an edible, your body tends to metabolize the THC via your liver. Then, it transforms into 11-hydroxy-THC which is a metabolite that crosses the blood brain barrier efficiently that potentially produces an intense high. As THC must be digested and metabolized by your liver, it takes a longer time to feel the effects than smoking. Additionally, due to this process, weed candy impacts the users for a longer time than smoking. But weed candy is much harder to dose appropriately. When it comes to smoking cannabis, you will feel the instant effects. So, it is easy to self-titrate. But, when it comes to weed candy, it is harder to do that. What to do when you overdose on THC? In clinical sense, it is impossible to overdose on cannabis. But it may get a tad bit uncomfortable and the intolerable high will fade away soon enough. Cannabis, including the medical marijuana candy edible can cause cotton mount, so it is essential to rehydrate and drink lots of water. As hydration isn’t going to have a huge effect on neutralizing your high, it will keep it away from exacerbating. While there is zero proof on bringing the high down, but it can make you feel a bit better. It can help you relax while taking you off the edge. While CBD acts complementary than THC, it has opposite effects. CBD is the best antidote to bring down the highness. Apart from being non-psychoactive, it neutralizes the high effects of THC. Ensure that you have a high CBD strain handy to use in such cases.